On what platform will the live stream be? Will someone be able to record it? 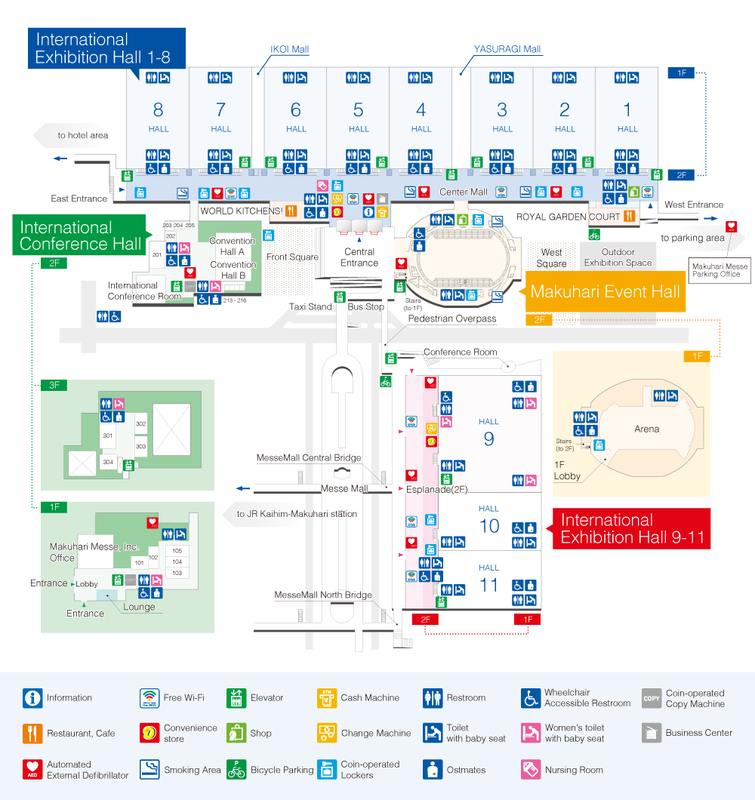 I will be streaming the event. PM me for details. Actually, even if you have a way to watch it on your own, you might want to join us, since my translator confirmed me that she will assist us. Thank you, this is very nice of you guys. 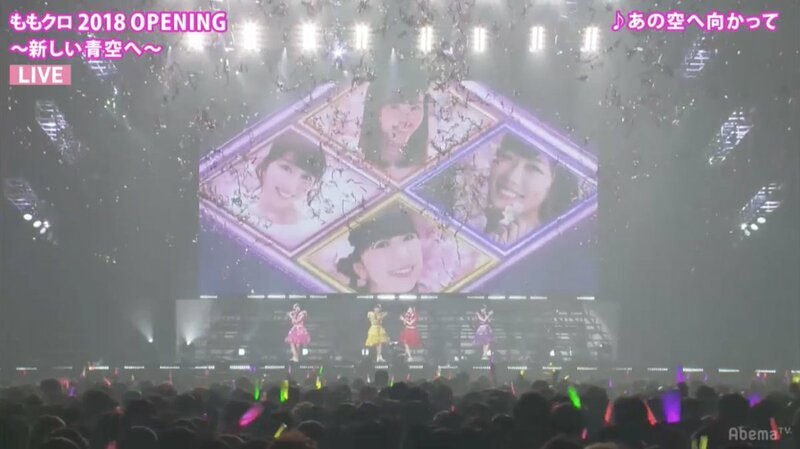 I went to the 5 members last concert of Momoclo. The armband which I bought by the last countdown live that I would use for the first time in the last concert of Momoka. A line to buy goods was too long and gave up the T-shirt. Many fans who did not get a ticket gathered around a concert venue. After having finished watching a concert, it was deeply impressive. When "Hashire!" and "New Song" were played, I almost cried. 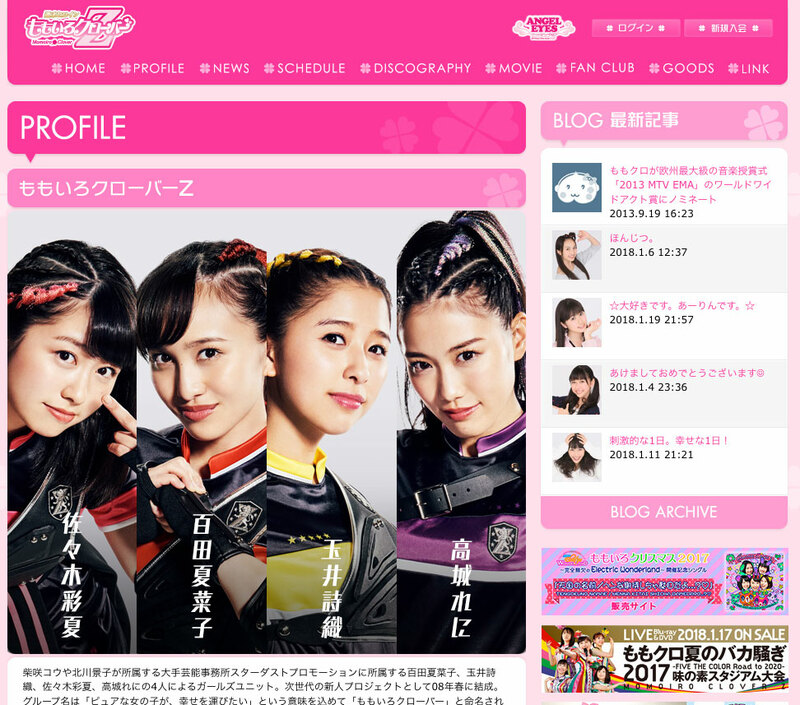 "I of the Momoka Oshi" want Momoka to walk the happy future that herself chose. 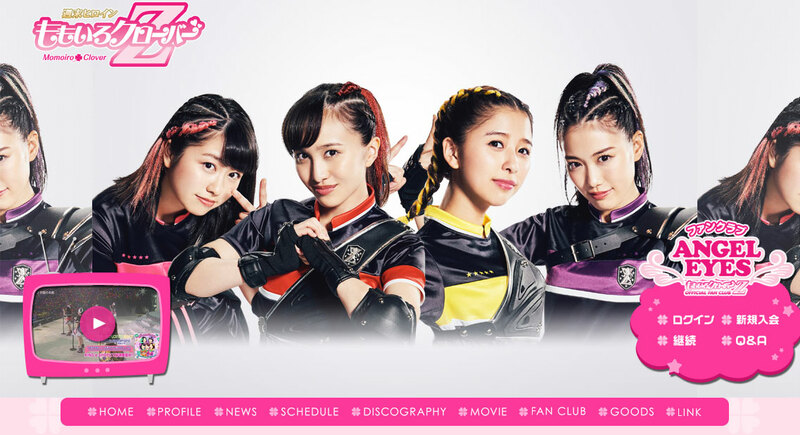 And I want to continue sending support to 4 members continuing Momoclo in future. I thought I could celebrate 10th anniversary with you. For 4 girls, I had no alternative but to do so. That's just as odd a quote as the whole graduation really. After eight years it wasn't possible to wait four more months for that anniversary? 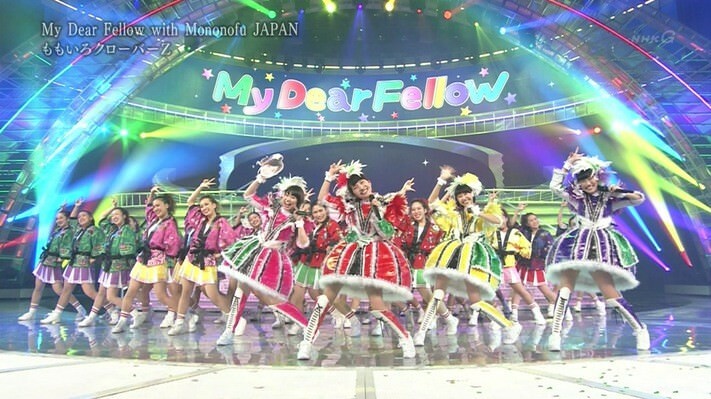 If you want to be positive you could say that it was a concert Momoka style. Straight forward. Just the girls and the music. 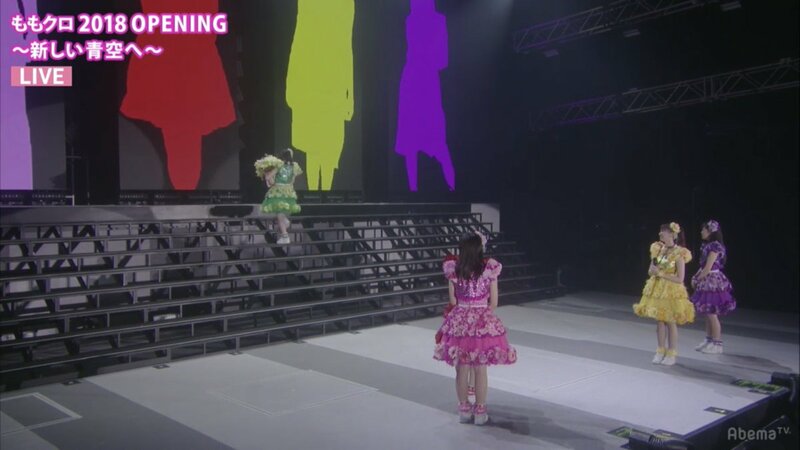 Not even a Momoka solo effort, no drums, no Arigatou no Present. At the right moment they should have put her on that waggon, driven her to the center of Makuhari Hall to sing that first solo song in an ocean of green lights. I've seen many moving graduation concerts. This won't stay in my memory to be honest. It seemed as rushed as the whole affair was. Granted there was little time. But then why was there so little time? 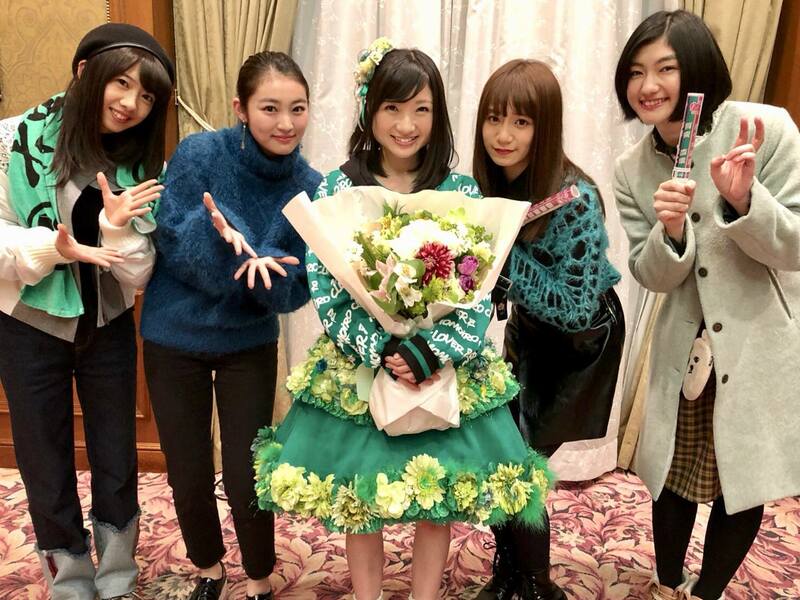 From the first announcement on kwkm's webshow right down to this concert it seemed to me as all concerned (maybe except for Momoka) were under shock. Not quite knowing what to say, to think and most importantly to feel. And that came though in the speeches as well. It felt odd from beginning to end. so many times in the past. This concert is released with the first limited edition "Mononofu Pack" of the best album in Blu-ray. 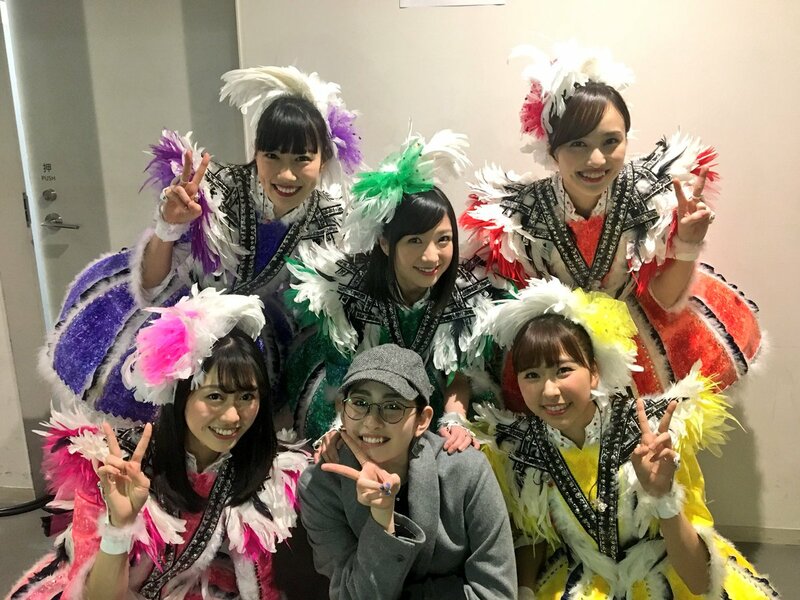 Awesome that Akari was there, and I love this picture!